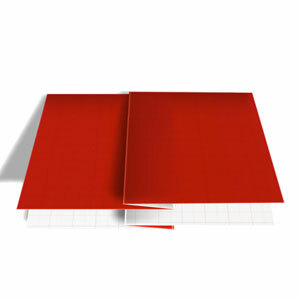 This page is for those who want the instructions to a crimp-fold in origami. 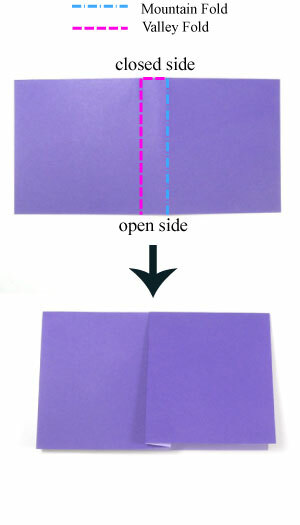 Crimp-fold is one "valley-fold" and one "mountain-fold" applied to a paper after unfolding a paper. 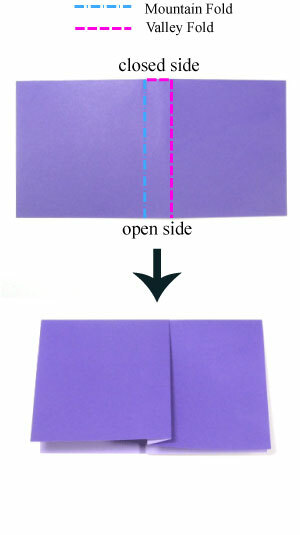 The paper needed to be folded back after applying a "valley-fold" and a "mountain-fold". The instructions for the 1st case of "crimp-fold" will be shown in this link. Click on the above link to learn how to make the 1st case of crimp-fold. The instructions for the 2nd case of "crimp-fold" will be shown in this link. Click on the above link to learn how to make the 2nd case of crimp-fold.